The Briscoes take on KENTA & Naomichi Marufuji in the main event! 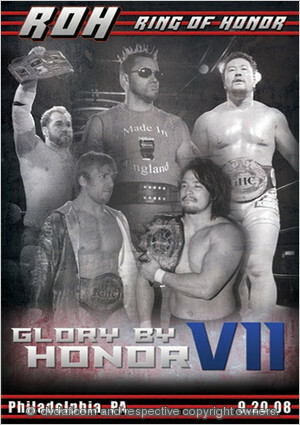 Plus matches featuring Samoa Joe, Jimmy Jacobs, Austin Aries, Delirious, Pelle Primeau, and more! The debut of a classic event, featuring matches with Samoa Joe, Christopher Daniels, Paul London, Low Ki, Jay Briscoe, Fast Eddie, and more! Mitsuharu Misawa defends the GHC Title against KENTA; the Age of The Fall battles the Briscoes for the tag titles, plus much more! The Briscoes take on KENTA & Marufuji; Samoa Joe faces Roderick Strong; plus six more matches and two bonus matches! Samoa Joe defends the ROH World Title against Christopher Daniels; CM Punk takes on Terry Funk; Steve Corino battles Raven; plus so much more!